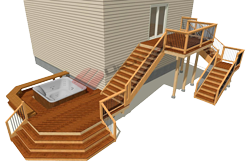 These deck railing height diagrams are a great reference for your design and building portfolio. 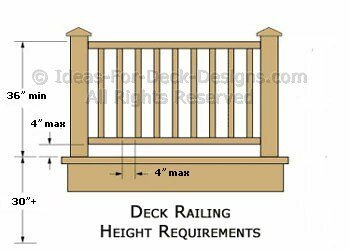 They include the actual height of the rail above the deck, the height above grade when a guardrail is required and important baluster spacing dimensions. We have also created separate illustrations for residential guards for the USA and Canada - depending on where you live. There are some minor differences. 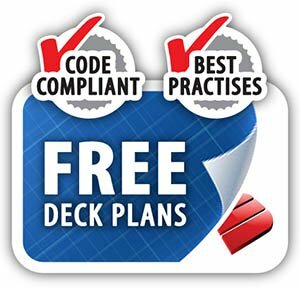 For a more extensive summary of other code standards please see this article. 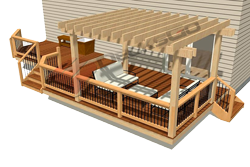 Guardrails are required once the deck is 30" or more above the grade. 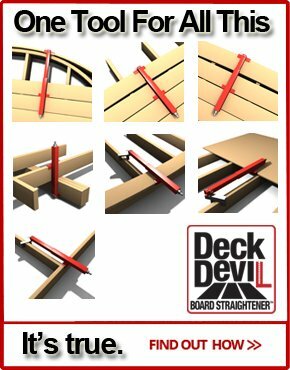 A 36" rail measured from the top of rail to the deck surface is required. California is the one exception where they require 42" guards. 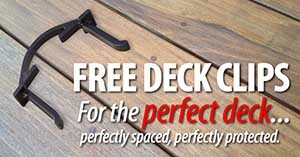 Guards are required when then deck is 24" (60 cm) above grade. 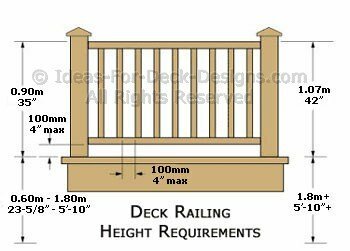 The minimum height of the railing varies based on the height of the deck. 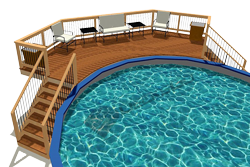 Decks 24" to 5-10" (180 cm) need 36" guards and anything above 5-10" requires a 42" high railing. 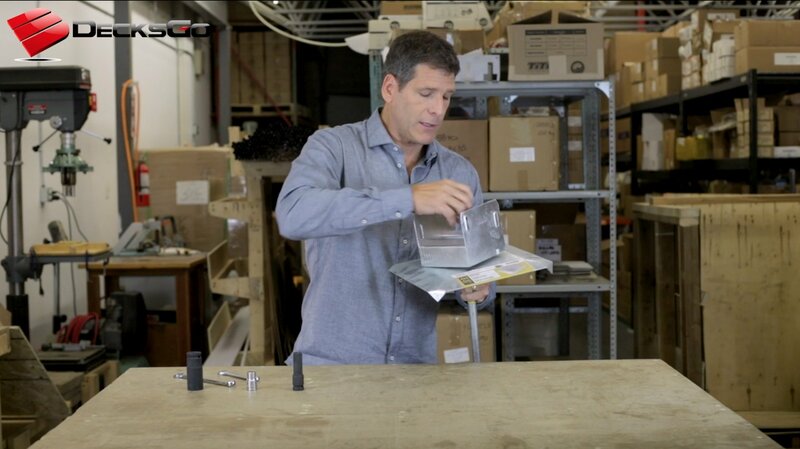 Safety is important and something that should always supersede style. 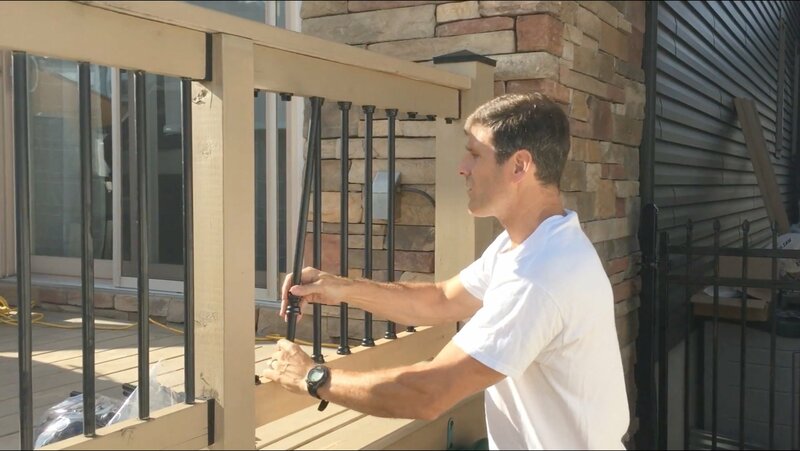 Now that you know how high you have to build your railings, follow up by reading these other more detailed discussions on strength, safety factors, including how to properly secure posts into wood framed decks. How Strong Do Your Rails Have To Be? 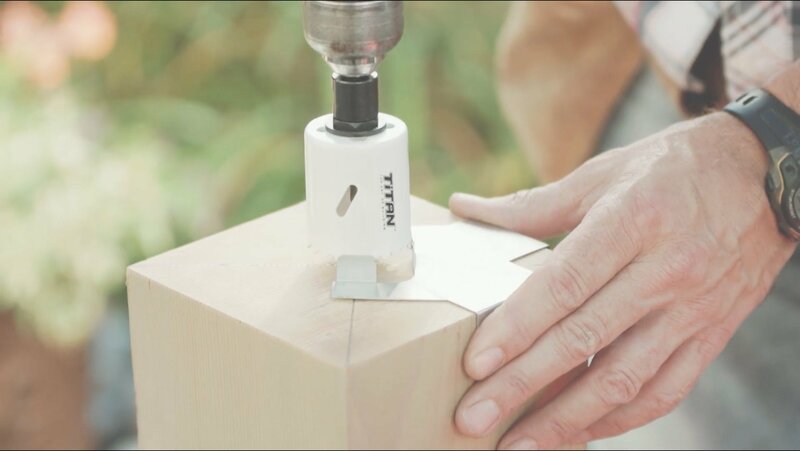 Signup to receive professional advice to build your deck and get 10% OFF your first purchase. 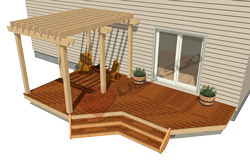 The outer edge of my deck is supported on 6x6 beams on P3 Helical Piers. I want to attach a ledger board halfway down the posts to begin the 2nd level. 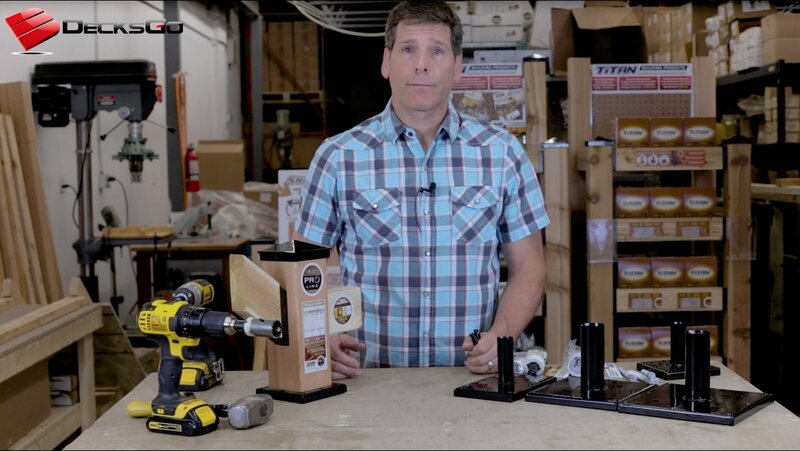 Become a Guest Host. If you are a Pro and have something valuable to share just contact us. 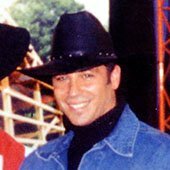 © 2004-2019 By Rich Bergman, Decksgo.com. All Rights Reserved.